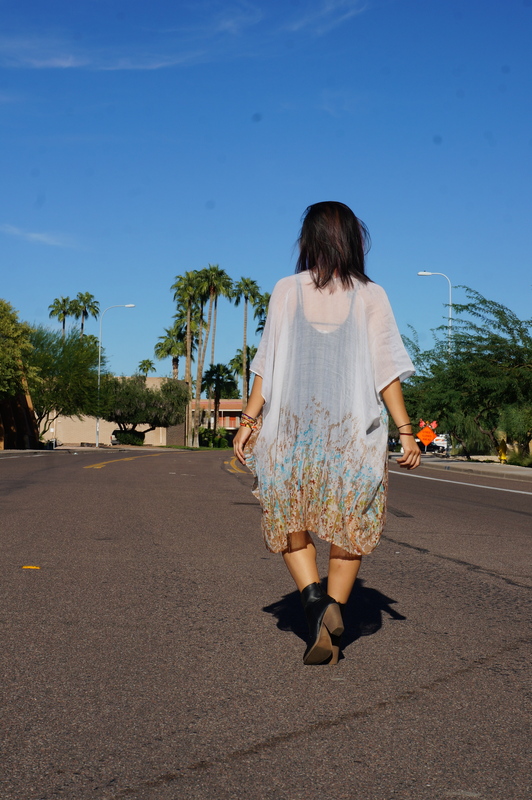 Kimonos are so fun to wear, especially for Summery weather. They’re loose, comfy, classy, and unfortunately a bit pricey. So, of course I was so excited to find quite a few tutorials out there for making your own kimono. There are a lot of good ones out there that show how to turn a large scarf into a kimono, but LaurDIY’s is my favorite – super simple and very easy to follow (I promise its not as hard as it looks!!). 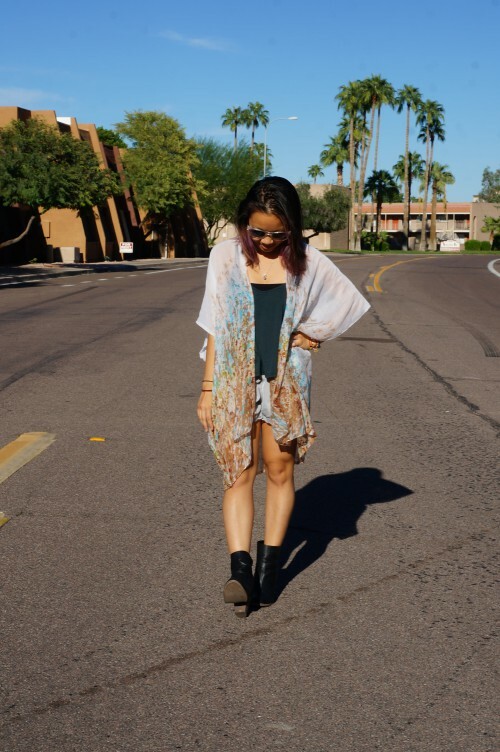 This is my version of the scarf-turned-kimono and I love how it turned out! Next time, though, I think I’ll make it a bit shorter and more fitting for my 4’11” self.